Edit any scanned document without loosing anything. Layout and quality will remain as in the original document. 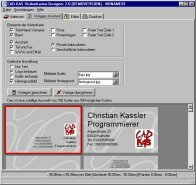 The program will NOT try to recognize the text, instead it will free the characters and pictures from the background and place it as free moveable objects over the background. 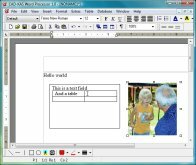 You can open existing documents (bitmap pictures) or scan new documents. You can then move, delete, copy and paste text and pictures or add new text and pictures. You can save the result as bitmap picture or print it. To save the document in the internal file format SCA is also an option. In this format all objects wll be saved in it's own layer without melting again with the background. If you need a small but full featured word processor with PDF export you should try this one. This one fits to every USB stick. You can use all high-end features like text boxes, pictures, drawing objects, tables, spell checker, form letter functions with data base connection etc. The program uses its own file format .woc but you can import .doc and .rtf files as well. This program has an integrated one click PDF export function. Mange your inventory with this easy to learn software. If you have an online shop for example this program helps you to keep the overview. You can use a barcode scanner or input the article number manually or simply click a button to increase or decrease the quantity of an entry. You can print your own barcodes with this software. 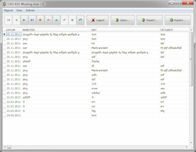 If you click on the caption of a column the program sorts the articles according to this column. Your workers can record their working time. Every worker gets an own account with an user name and a password. The users can enter information about the working place, kind of work, date and working time. 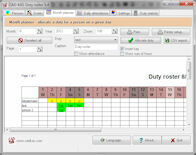 Create a duty roster for your staff. You first create a list of your staff. Now you can allocate a duty for each person and each day (i.e. holiday, ill, duty travel etc.). You can view and print a month plan or a day plan. The day plan shows you which persons are attendant and what their actual duty is. You can view and print a duty statistic for the month or the year. 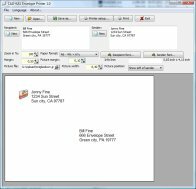 Print addresses on envelops with your desktop printer. Simply enter the from and to address and press the print button. You can also select the font and font size. A picture can be printed on the envelope. You can save the envelope project with all settings. 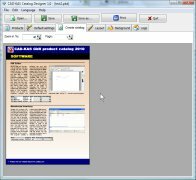 The program can print an envelope for all recipients in a CSV file with one click. Create you own product catalogs. You enter all information about your products with pictures, article numbers, prices, discounts multiple variants etc. The program creates the catalog out of your product information automatically. You can change the colors and the fonts of the predefined layout and include your company logo and your text. 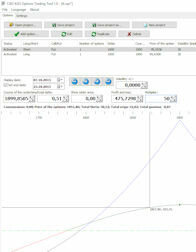 You can import existing product information from a CSV file. You can update all product prices at once. The program organizes your products in categories. If you don't want to forget events and don't want to write down your appointments on paper in the age of the computer then this program is made for you! The program shows the days and months in a tree as known from the Window file manager. You can add new appointments with one mouse click and enter a free text for every appointment. You can choose when and how often the program should remind you. The program can run in the background and remember you about your appointments. If you start the program with windows you can't forget anything. The programs show a statistical overview over the years or months. Fill out PDF forms, save them and print them. You can add form fields to existing PDF files or fill out existing form fields. The program can also add comments to PDF files or highlight text in PDF files. Provide your customers with PDF forms they can fill out directly on the screen and print it out in Acrobat Reader! It is no longer necessary to print out the form in order to fill it out! The program adds form fields to pdf files. The form fields can filled out with the Adobe Reader. You will be able to print the filled forms in Adobe Reader. However, to save the filled forms a program like PDF Forms will be needed. It is easier for your customers to fill out the form and therefore even more customers will fill out your forms because they don't waste to much time. Do you want to use modern computers to store the paper hill on your desk in digital form? This is no longer a problem. 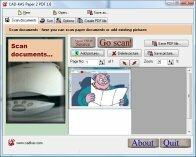 With Paper 2 PDF you can simply scan the documents and then save them with all the sheets in one pdf file. Now you ever have access with the Acrobat Reader with ease. Now it is easy for you to give away or publish your documents in the Internet. This is easy, powerful and modern document management today!